Polly helped us by writing and delivering our healthy affordable cooking course. One participant had a two year old son who was very underweight and her mother had told her she needed to make more effort with cooking. The son gained 2 lbs while Julie was doing the course and they both discovered they liked eating sweet potato! Her son really enjoyed the food Julie cooked during the cookery sessions, so it was an excellent result for our project. Good Food Matters is a charity whose aim is to provide Healthy Eating education for disadvantaged young people. Polly joined our team in January 2008, and having her on board is a great asset to the charity and has enabled us to reach out to more young people. Polly has a lively and informal approach to teaching that makes learning great fun. An inspiring and caring instructor, she has the ability to communicate with ease the simple, practical skills that our diverse student groups need to take the first steps toward improving their diets. “We first met Polly in the Autumn of 2003. 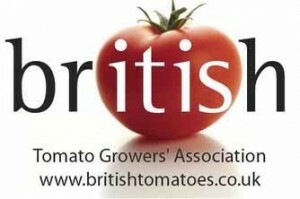 The British Tomato Growers’ Association were planning to launch the first ever British Tomato Week in the Spring of 2004 and wanted to produce a tomato recipe booklet using fresh British tomatoes in very simple recipes. Polly was extremely enthusiastic about our brief and produced a wide range of delicious, yet simple ideas, making it difficult for us to choose just 11 recipes for the ‘Simply Tomatoes’ booklet. From January to May 2004 it was all systems go – making the recipes, getting the right photography and actually producing the booklet just days before the deadline. During this hectic time Polly’s calming influence and unflappable approach kept us on track and the result was a superb booklet which is as relevant today as it was when it was first produced. Since that time Polly has become the BTGA’s very own Chef – creating new recipes for British Tomato week in 2005 and 2006, promoting and demonstrating our product on several occasions, and advising on the many culinary enquiries we receive at the BTGA office. Polly is a very knowledgeable and thorough trainer. She reads individuals well and communicates accordingly, quickly making students feel at ease whilst building their confidence. Her food knowledge is very interesting and adds another dimension to cooking. All our customers were thrilled with the course she taught. Just to let you know how much we enjoyed last night’s course. Katherine & I were saying we couldn’t fault any part; it was so enjoyable yet very informative. Polly was brilliant & the man with the wine was very interesting. All the staff were friendly & made it feel ‘stress free’. I had 2 mums ask me this morning on the school-run to forward your details to them. Thank you so very much for your and your team’s help in delivering the Flavas of Peckham Festival. As you know the Flavas Festival is about showing working families in Peckham, via the mobile kitchen, easy and healthy meals to prepare to try and combat the rising levels of obesity and heart disease that we have in the area. The Flavas Festival proved a very successful vehicle in doing that and the meals prepared from the kitchen by your team proved to be tremendously popular. This was largely due to your professionalism and attention to detail in pulling the thing together for us for what is a very difficult and hard to reach client group of new migrants to the UK and first generation British. On a personal level can I also add that you’re a fun and easy person to deal with and that on behalf of Southwark Council, myself and other members of The Peckham Programme team very much look forward to working with you in the future.